Organizations are being mandated to switch to bats that perform like wood, which make hit balls slower. But it's a whole new expense. National regulations require youth baseball organizations to use new baseball bats this season, a move that officials in southern Maine say will make the game safer – but come at a cost for leagues and parents. “It’s being done for safety. It’s slowing down the ball off the bat,” said Randy MacWhinnie, the president of Westbrook Little League. The new bat rule went into effect Jan. 1. It has been adopted by most of the national youth baseball organizations, including Little League and Cal Ripken. The rule requires all bats used in games and practices to have the USA Baseball stamp. USA Baseball, the governing body for amateur baseball, determined that separate testing and standards were needed for younger players because of the different characteristics of the ball, the players and skill levels. “They’re trying to get bats that perform a little more like wood and from a safety aspect, and I think that’s a good idea,” said John Heffernan, who for the past six years was on the board of the South Portland American Little League. USA Baseball insists the change isn’t being done for safety. Rather it wants to get kids using bats with “wood-like” performance to ensure “the long-term integrity” of the game, according to its website. The switch was announced in August 2015. Safety, however, has been addressed previously in regard to bats. As of 2009, baseball had the highest fatality rate among sports for children ages 5 to 14, with three to four deaths per year, according to the Consumer Product Safety Commission. Further, in 2015, the year the bat switch was announced, baseball injuries across all ages saw a significant spike above the previous 13-year average of fewer than 89,000 to over 118,000. The movement to produce metal bats with the characteristics of wood bats is not new and has previously been directly linked to making the game safer, particularly for pitchers and infielders. The NCAA adopted the BBCOR bat-rating system before the 2011 season. The switch to BBCOR bats in high school followed in 2012. BBCOR stands for Batted Ball Coefficient of Restitution, a measure of both the exit speed of a batted ball and the compression in the bat made by the pitched ball. A greater compression creates a greater recoil effect, increasing exit velocity. The new bats, available from many manufacturers, are priced from below $20 to over $350. That’s not different from the old bats. It’s just that all the old bats have to be replaced. Winship said Portland Little League will need to buy 60 to 80 new bats compared to the typical nine or 10 replaced because of wear and tear. He figures the league will choose bats in the $50-$60 range. “It will probably end up being between $4,000 and $5,000,” Winship said. Westbrook Little League is testing four different bats to get reaction from players and coaches, then will make more purchases. “It’s a big expense for our league because we have to provide some of the bats for the children who can’t afford to buy their own bat. I’d say 60 to 70 percent of the kids have their own equipment,” MacWhinnie said. 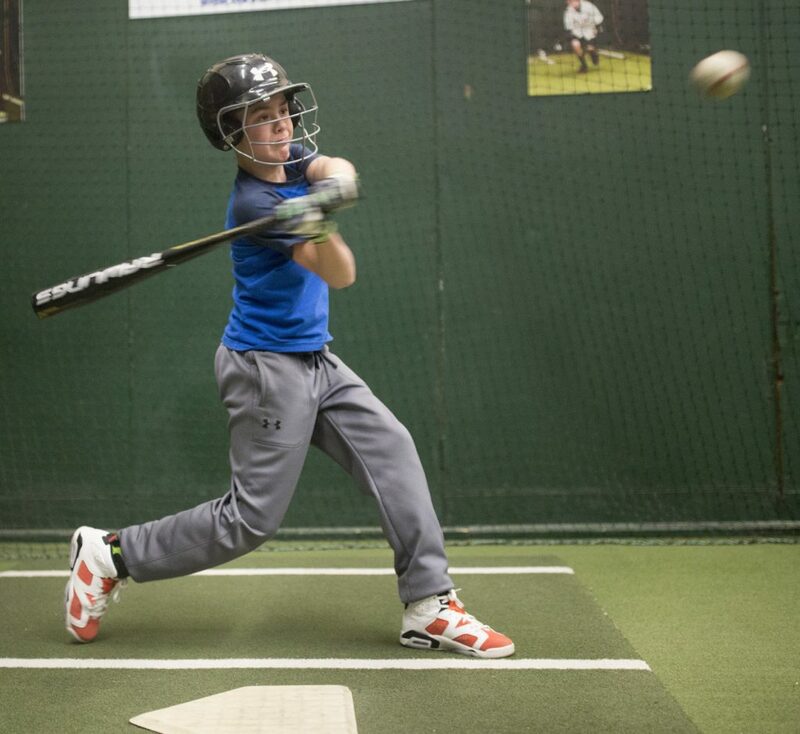 A group of Westbrook Little Leaguers recently held a short hitting session at the batting cage constructed inside a classroom of the Westbrook Community Center. Sure enough, most of the boys in attendance had one or even two bats stuffed inside specially designed baseball backpacks. A well-known jargon term for current players and coaches, drop weight means the difference between length (in inches) and weight (in ounces). High school baseball has a drop weight restriction of minus-3. With modern technology able to make very lightweight bats, numerous youth baseball bats have drop weights around minus-10. Damon’s new bat has a drop weight of minus-11. “That’s perfect for someone like him. He’s a really good player but he’s still small,” said Rick Knight, who manages the Eagles in the Westbrook league. Knight, a member of the Maine Baseball Hall of Fame, led the 2005 Westbrook team that reached the Little League World Series. Knight likes what he’s seen from the new bats. Instead of using a wood-like metal bat, Cameron Abbe, 9, of Westbrook has the real thing. “I’m using my Louisville Slugger, which is a hard maple,” Abbe said. It’s a heavier bat but Abbe seems unfazed. “Using a wooden bat you can still hit a lot of ball just as good,” he said. When the BBCOR standard was introduced at the college and high school levels, there was a clear reduction in scoring and home runs. Local youth league officials expect the USA Baseball bat to also reduce the long ball. But since the new rules allow for a wider barrel (up to 25/8 inch diameter instead of 21/4), an increase in contact is also expected. Little League has changed its birthday cutoff date to Aug. 31. The 2018 season will be the final year when a 13-year-old with a birthday between May 1-Aug. 31 can play Little League. Last season, Heffernan said his regular-season team and its opponents combined to hit 22 home runs in 18 games.